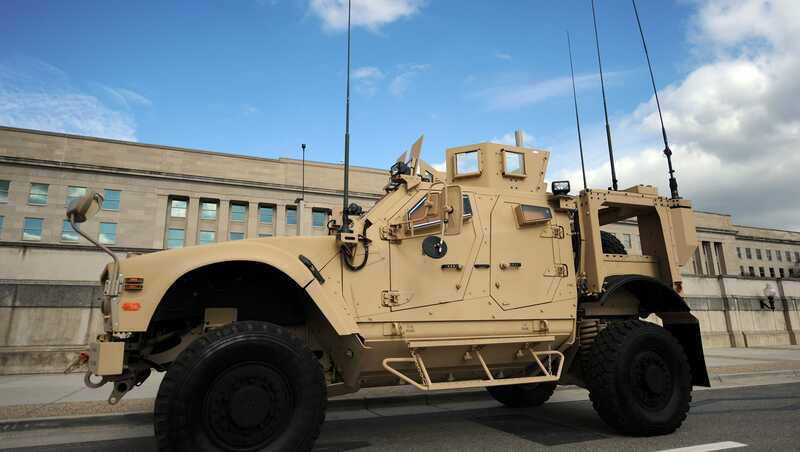 The U.S. Office of Naval Research (ONR) is interested in developing a Humvee-mounted anti-drone laser able to disrupt the use of unmanned aerial vehicles (UAVs) that might attack patrols. If successful, the Ground-Based Air Defense Directed Energy On-the-Move (GBAD) will help Marines on the ground, using hardware that can be placed on light-tactical vehicles. There is greater concern of enemies using UAVs to track and target Marines, so they are able to be more effective when launching attacks. The anti-drone laser system will be deployable on a Humvee or Joint Light Tactical Vehicle, after officers requested mobile directed-energy weapons that can eliminate threats. "We can expect that our adversaries will increasingly use UAVs and our expeditionary forces must deal with that rising threat," said Col. William Zamagni, ONR expeditionary Maneuver Warfare and Combating Terrorism Department head, in a statement. "GBAD gives the Marine Corps a capability to counter the UAV threat efficiently, sustainably and organically with austere expeditionary forces."